Washington, May 2 (IANS) An Indian-American woman, who admitted to killing her 68-year-old mother-in-law in 2012, has been released from Sutter County jail in California after a jury acquitted her of first-degree murder. 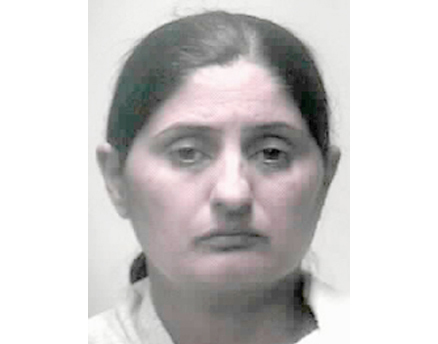 The not guilty verdict came after Baljinder Kaur’s defense lawyer Mani Sidhu argued that she killed her mother-in-law Baljit Kaur in their Yuba City, California home on Oct 24, 2012, to save her unborn girl child from gender-based infanticide. Sidhu, local Appeal-Democrat reported, argued that Baljinder Kaur , 39, was a battered woman, whose mother-in-law abused her and sought to force the end of Kaur’s pregnancy because the baby was a female. Kaur testified that her mother-in-law took her to get an abortion, which she avoided. Sidhu said Kaur fought the woman to defend her unborn daughter from gender-based infanticide. Otherwise, the child could have been another victim of the gender-based infanticide that has taken the lives of 100 million Indian girls, he said. Baljinder Kaur was released from jail on April 25. She had been in custody since Oct 26, 2012, and gave birth to her second daughter while an inmate, according to Appeal-Democrat. “We believe she acted in self-defence of her child,” juror Michelle Struhs, 47, of Yuba City was quoted as saying. The murder trial began April 15 and lasted just eight days. The jury deliberated for a day and a half. He said jurors just simply believed Kaur was an abused woman. None of Kaur’s family members attended hearings leading up to the trial, and the courtroom audience was sparse over the last two weeks, Appeal-Democrat said. When the verdict was announced, Kaur – who has worn jeans, a sweater and a thick black braid down her back – dropped her face into her hands and sobbed, the news site said.